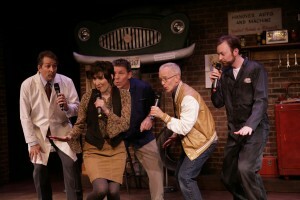 A Lug Nuts Christmas: Rousing Entertainment for All Ages! Nothing like a little music to liven the holidays: traditional carols and hymns…jazz and instrumentals…doo wop. Wait just a minute: Doo wop for Christmas? That’s correct! 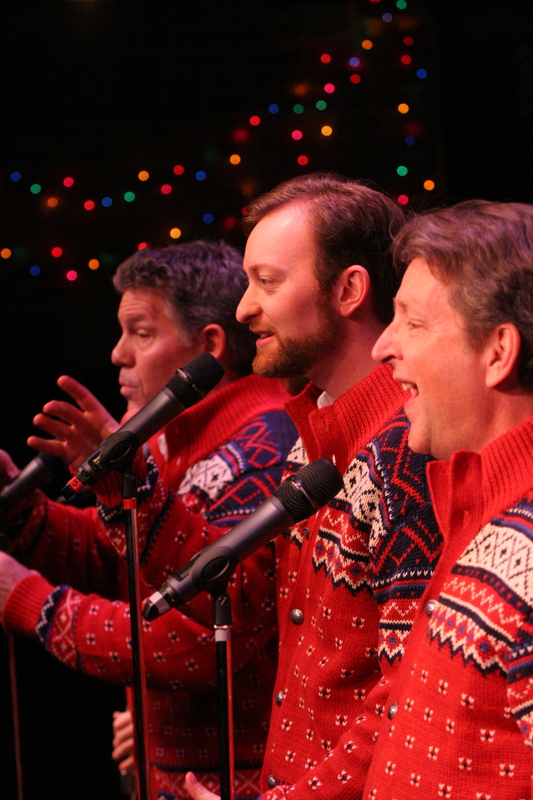 Director and playwright Bruce Miller seamlessly blends it all in toe-tapping, finger-snapping style with A Lug Nuts Christmas – the musical from Virginia Rep playing now at the historic Hanover Tavern. A group of talented teenage doo-woppers, now all grown up, begrudgingly reunite for a holiday musical at the scheming insistence of their former high school counselor. While practicing for the show at an auto mechanics shop, they stir up memories (good and bad) of days gone by (and a girl gone bye). All ends well as they work through long-held grudges and present a Christmas variety show like none other. Their true-to-pitch a cappella harmony and entertaining antics will charm you from first song ‘til finale. The audience also discovers delight (and sometimes humor) in the smattering of local references: the town of Mechanicsville, Hanover County Schools, Miller & Rhoads, Thalhimer Snow Bear, and more. Add some highly creative, if not high-tech instrumentation – hub cabs, kazoos, and ukuleles – and you’ve got a couple hours of rousing entertainment for all ages…especially for those of us who actually remember the sixties and seventies doo-wop craze. Kudos to Bruce Miller, as well as musical arranger Jason Marks who creatively ensured this is not just another holiday musical with the same ‘ole songs: This one is delightfully different! A Lug Nuts Christmas is a Virginia Repertory Theatre production showing at Hanover Tavern now through January 5. Tickets are priced $40 with discounts for groups. To add some merry to your Christmas, purchase tickets online at www.va-rep.org tickets or by calling (804) 282-2620. Previous articleThe Drowsy Chaperone: Delightfully Dizzying Spectacle!